Are you over 50? Why not join us for a bowl and enjoy a cup of tea or coffee between 10:00 and 14:00 Monday to Friday. We recommend you pre-booking as we do get busy! Just £5.00 per person. Make a booking request by clicking ‘here’. Available at any time, everyday! 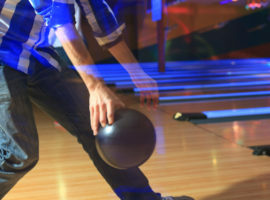 For up-to 6 people bowl for 1 hour for £20 in total! This offers is available at any point throughout the day. However, cannot be used in conjunction with other offers. 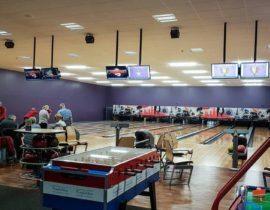 Book your family bowl today by clicking ‘here’. Available Tuesday and Friday nights! 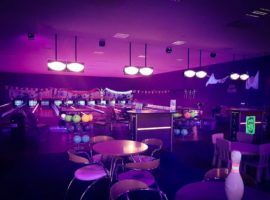 Why not bring your friends bowling, between 18:00 – 22:00 take advantage of our all bowled over offer just £5.00pp for 2 hours of bowling! Make a booking request by clicking ‘here’. Available Saturdays and Sundays between the hours of 10am-12noon! 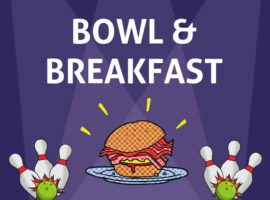 Why not treat yourself to a sausage, bacon or egg barm and 1 hours bowling for just £8 per person. Make a booking request by clicking ‘here’. Available Monday to Thursday between the hours of 3pm -7pm. 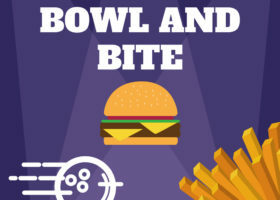 Why not treat yourself to a beef, cheese burger, veggie burger or a chip barm with 1 hours bowling for just £8 per person! Make a booking request by clicking ‘here’. 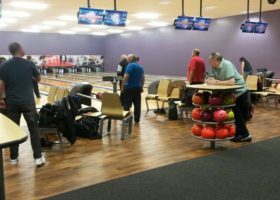 We have bowling leagues playing every Monday, Wednesday and Thursday from 19:30 – 22:00. If you would like to find out more information or join one of the league teams then please get in touch with us for more info.